The Orders of St John Care Trust (OSJCT) is celebrating an Outstanding double after Hartsholme in Lincoln and Monkscroft in Cheltenham joined the 2% of adult care services achieving the CQC’s top rating. 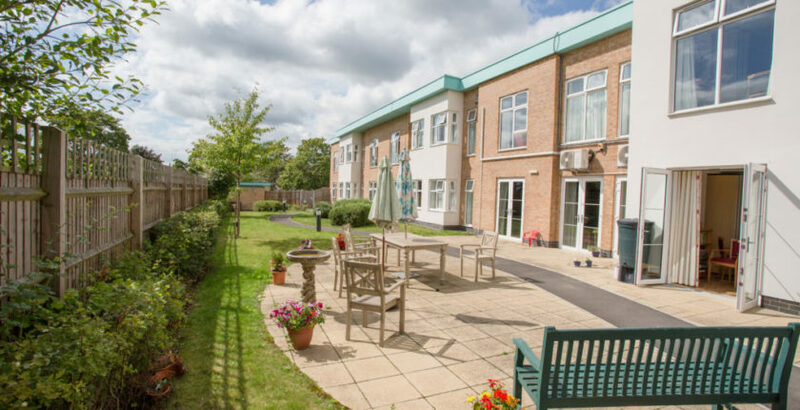 Hartsholme, which provides care for up to 44 people, was described as being “outstandingly responsive” following an inspection in May. The CQC said “staff were motivated by and proud of the service and there was a sense of shared purpose. There were consistently high levels of constructive engagement with people, staff and the local community. People were involved in decision making and actively encouraged to share their views”. Inspectors noted how a relative was given use of the home’s kitchen to cook a meal for their loved one. The home was also commended for promoting best practice through its champions in safeguarding, dignity, dementia, medicines and infection control. Monkscroft was described as “outstandingly caring” by the CQC, which commended the home for enabling people to explore new areas of independence following its inspection. Home manager Bogumil Cwiklak said: “This is an extremely special moment for everyone at Monkscroft; being recognised or awarded is one of the best feelings in the world. We are overwhelmed with gratitude and we also want to share our achievements with the people who helped us obtain this very special result. OSJCT has achieved four Outstandings over the past 18 months with Monkscroft and Hartsholme having followed Gregory House in Lincoln and Brookside in Wiltshire in gaining the CQC’s top rating.